Microsoft has been on the move in IoT with a $5 billion investment, building out and connecting what Microsoft calls the “intelligent edge” and the “intelligent cloud”. Two weeks ago, at RSA, Microsoft announced Azure Sphere for the “deep edge”, a platform including certified MCUs, Linux-based Sphere OS, and Azure Sphere security service, which I wrote about here. This week, I’m attending Microsoft Build 2018 in Seattle where 6,000 developers, customers, partners, press and analysts come to hear about its latest products, tools and technologies. Microsoft made a mind-boggling array of IoT announcements at Build and I wanted to weigh in on a few of the key ones. First, Microsoft and DJI announced they will develop drone solutions for agriculture, construction, and public safety verticals, using Azure IoT Edge and AI technologies. While I typically looked at DJI as a consumer drone, the company has a growing commercial business. To add to its iOS and Android SDKs, DJI is releasing a Windows 10 Software Development Kit (SDK) to develop applications to control drones for commercial use cases. DJI also announced it chose Azure as its “preferred cloud computing partner” for AI and machine training using drone image and video data. The most interesting part of these announcements for me was DJI leveraging a Windows 10 PC notebook to do inference to directly load to a drone. Prior to this, drone pilots and developers would need to move the app from the cloud to a PC or Mac to an Android or iOS device to the drone. This partnership is an extension as Microsoft and DJI were already DJI and Microsoft are already working together on “precision farming” where data is analyzed Azure IoT Edge with the FarmBeats solution. DJI seems right up Microsoft’s IoT alley as DJI requires a mature enterprise IoT cloud, edge and development capability. Next, Microsoft announced a partnership with Qualcomm to create a vision developer kit which performs real-time machine learning inference on the edge. 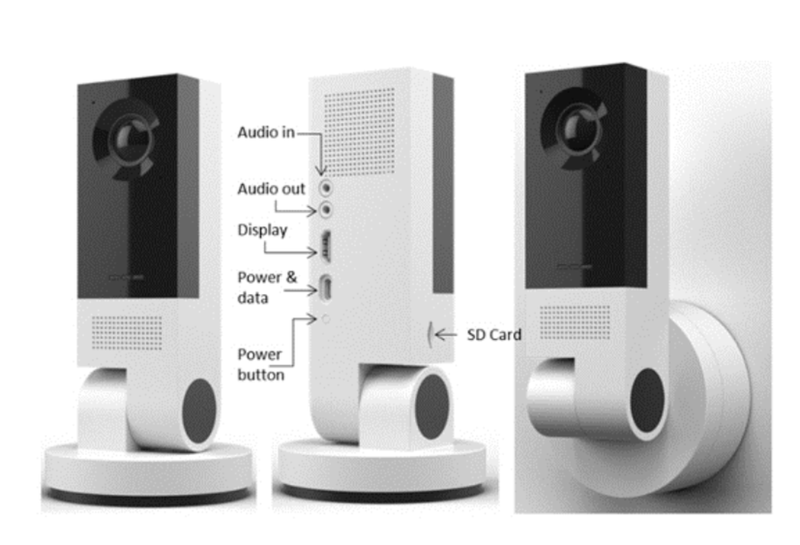 The SDK combines the required hardware and software required to create a camera-based vision solution using Azure IoT Edge and Azure Machine Learning (ML). It’s helpful to think beyond the camera and to the end devices and application like robotics, industrial safety, retail, home and enterprise security, and smart home devices. Developers will use Azure ML for training and monitoring and Azure IoT Edge provides device management and deployment of the inference model to the camera. The Qualcomm Snapdragon Neural Processing Engine (NPE) SDK does the model inferencing. The Qualcomm example is a good one for Microsoft IoT as it leverages Azure edge-to-edge, each tier doing the right kind of function. Microsoft also announced a limited preview of “Project Brainwave on the edge”, which the company says brings real-time AI from the cloud to the edge. Project Brainwave currently uses Intel Altera Stratix 10 FPGAs in the cloud to accelerate DNNs. I love this move to the edge as it should theoretically reduce latency and cost by bringing DNN inferencing from the cloud to the edge. Microsoft claims that Project Brainwave offers the “lowest latency and lowest for cost real-time AI in the industry”, a very big claim which I will need to dig into. Next, Microsoft announced that its Azure Certified for IoT program will expand to include edge hardware for Azure IoT edge from Hewlett Packard Enterprise, Advantech and Moxa. Microsoft will certify the edge hardware “from the chipset to the cloud” on security, management and AI. Microsoft also made a literal cornucopia of announcements on Azure IoT Edge, Windows 10 IoT, and Azure IoT Hub. For Azure IoT Edge, the most interesting Microsoft announced was that it added cognitive services that were only available in Azure cloud to the edge, starting with its custom vision service. Also interesting was that Microsoft open-sourced its Azure IoT run-time, giving developers the peace of mind, they can tweak to their heart’s content. Azure IoT Edge was always based on Docker containers and of little surprise, now Microsoft is committing to use Kubernetes to manage those containers. Windows IoT was improved as well, as Microsoft says that in the Fall 2018 Windows update, developers will be able to use any DX12 system to accelerate ML models. Pretty much every modern PC has DX12 support and therefore many endpoints will be available. Also, NXP and Microsoft announced IoT Core support for i.MX6 and i.MX7 with the Fall 2018 release of IoT Core. NXP is very successful in the IoT space and this gives Microsoft a leg up with IoT Core. Microsoft also announced improvements in the cloud with the Azure IoT Hub. To me, the addition of new and more sophisticated device and application management capabilities enable the realistic addition of 100s of billions of devices. Just when you think Microsoft is done releasing new elements to its IoT platform, the company releases a complete load of new capabilities. 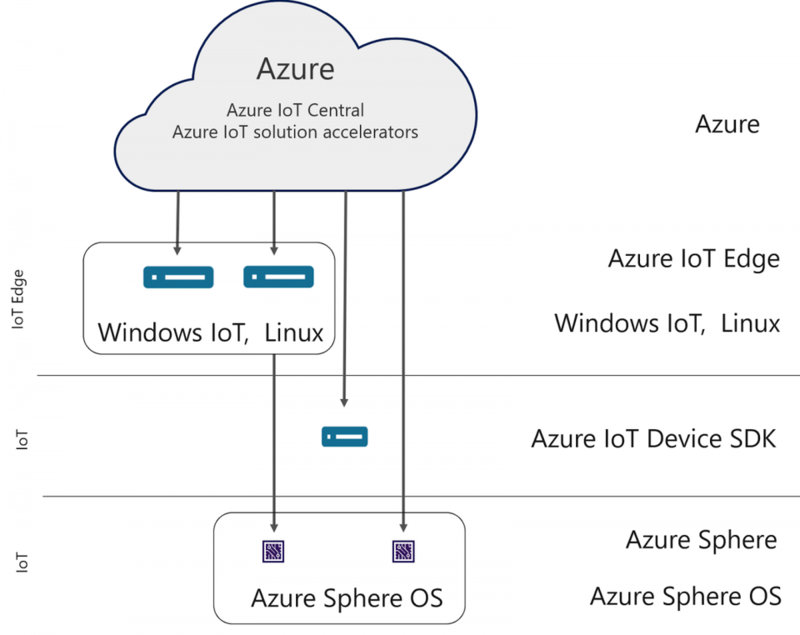 Microsoft can now span from the “deep” IoT edge with Azure Sphere to the IoT Edge with Azure IoT Edge and Windows 10 IoT to the IoT cloud with Azure IoT Central and Azure IoT accelerators. To boot, Microsoft provides consistent security, device management, and container-based applications and management. Microsoft still needs to bring all its cognitive capabilities to the edge beyond vision, but this was a good place to start as it enables many use cases. In two years in the IoT, Microsoft has gone from a virtual unknown in a sea of IoT platforms to one of the leaders. 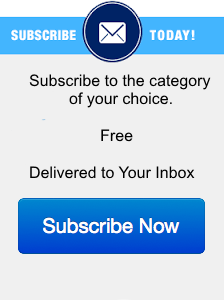 This is classic Microsoft- embrace and extend, and I’m looking forward to seeing how customers respond.